If you are visiting Seville during Holy Week, you should take advantage of this knowledge and explore the searching for these beautiful photogenic spots. 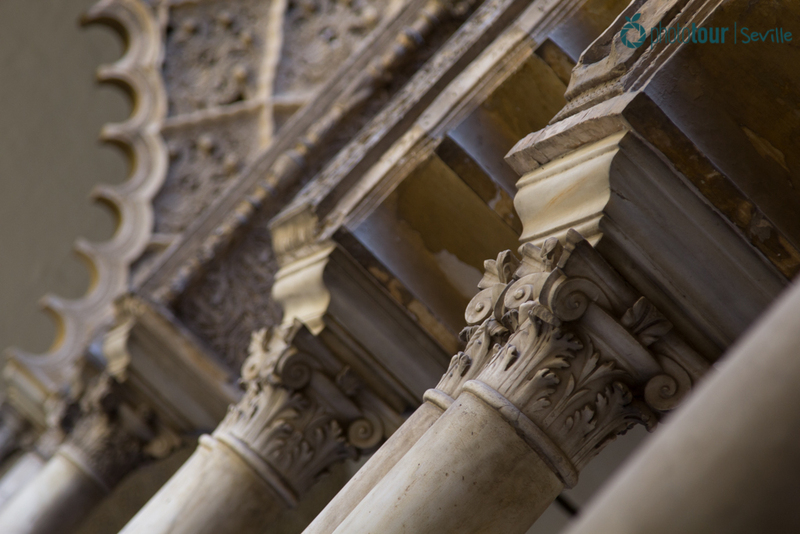 In Seville Photo Tour we want to guide you in order to find these secret places. It doesn’t matter if you are an amateur photographer or an experienced one: you will enjoy these places the same! Check them out! 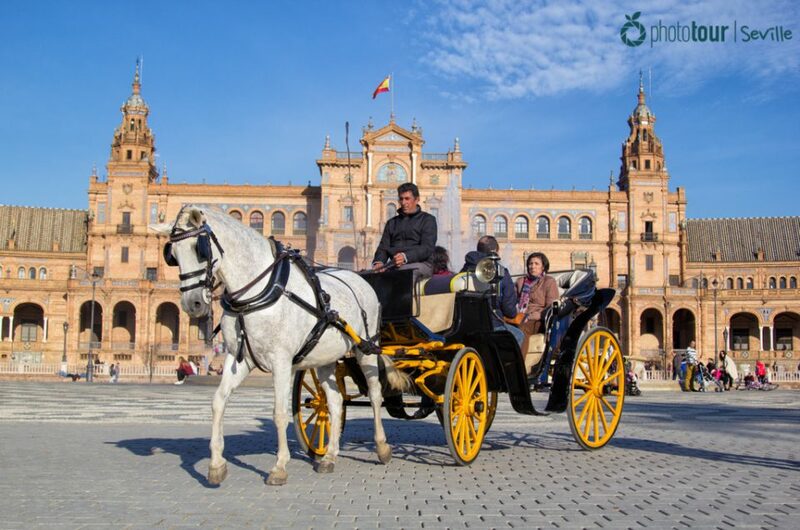 The most famous square of Seville is the favorite place of all photography lovers. Its multiple arches and bridges are a gift for the eyes. You will love to get lost through its corridors and balconies. 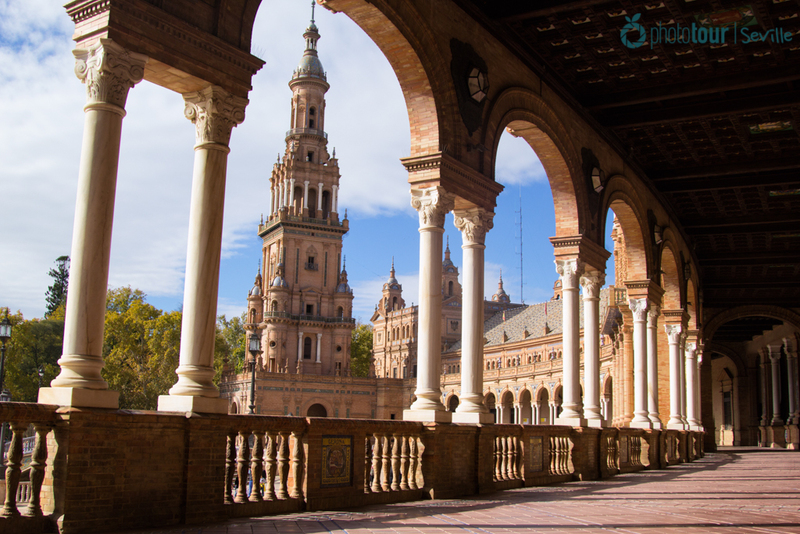 One of the most photogenic spots you will find inside Plaza de España is located in its corridors, where you can see the towers through the arches, creating a perfect frame for the photo. 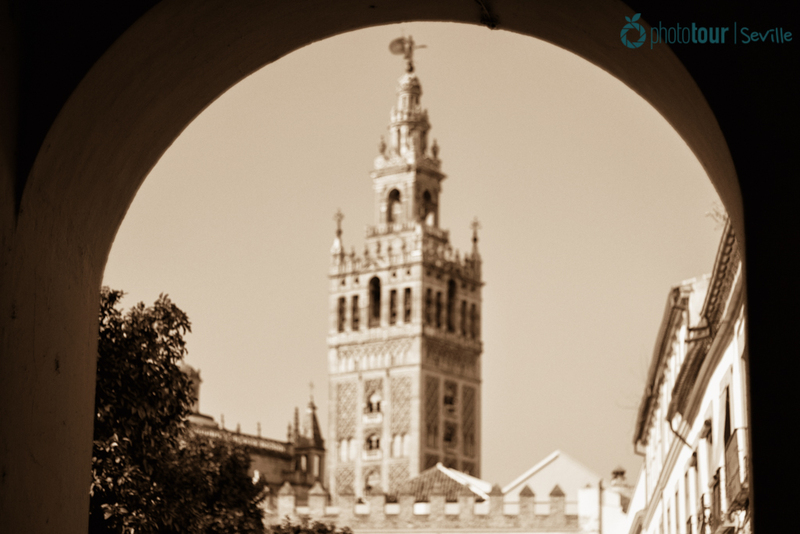 If you turn around, you will contemplate a wonderful sight of the Giralda framed into an arch. This is one of the best photogenic spots of the Cathedral you will find in Seville! Take your time and practice your photography from different views. This one is really worth it! This world heritage monument was one of the more active royal castles of Europe. Its buildings have been reformed by different architectural styles as Islamic, gothic and baroque, and were home of the royal Spanish krone. Even nowadays, the upper levels of the Alcázar are used by the royal family when they come to Seville! This mixture of styles have left a beautiful bunch of elements that are a must to photograph. Specifically in its main inner garden, you can find a lovely set of gothic arches that will make you enjoy photographing them. Don´t leave the Alcazar without visiting the vault! This hidden place of Seville can presume of being the most popular square of the whole Barrio de Santa Cruz. 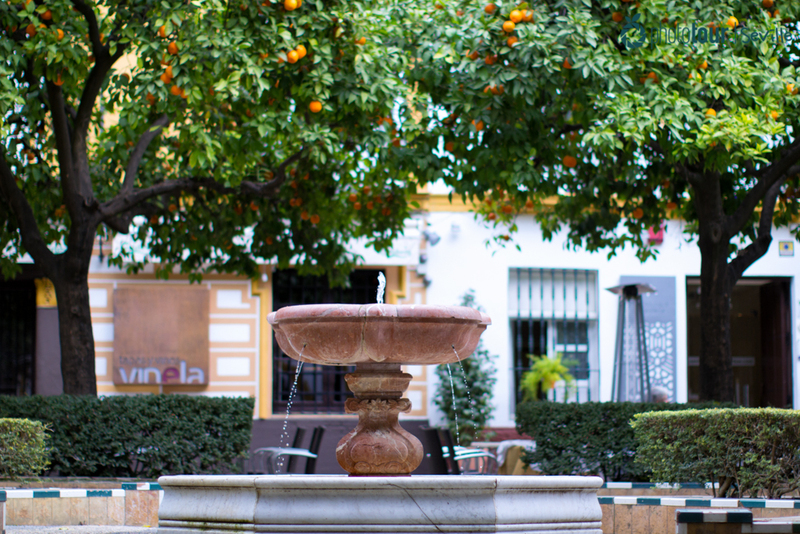 Its fountain, surrounded by ceramic benches and guarded by orange trees, make it a lovely place to spend your time and take a lot of pictures. One of the best times to visit this square is in the spring, due to the azahar: the flower of orange trees that is blooming during this part of the year. So if you are visiting Seville during Holy Week you can´t miss the chance to visit this Plaza de Doña Elvira. You will be captivated by the smell of azahar and won´t want to leave this place. And, of course, you will find a lot of spots to take pictures of this awesome plaza and these wonderful flowers! In the old times, this fishermen neighborhood was one of the humblest and poorest of the city. Nowadays, it is the loveliest and favorite place for many sevillanos to spend a day with friends. 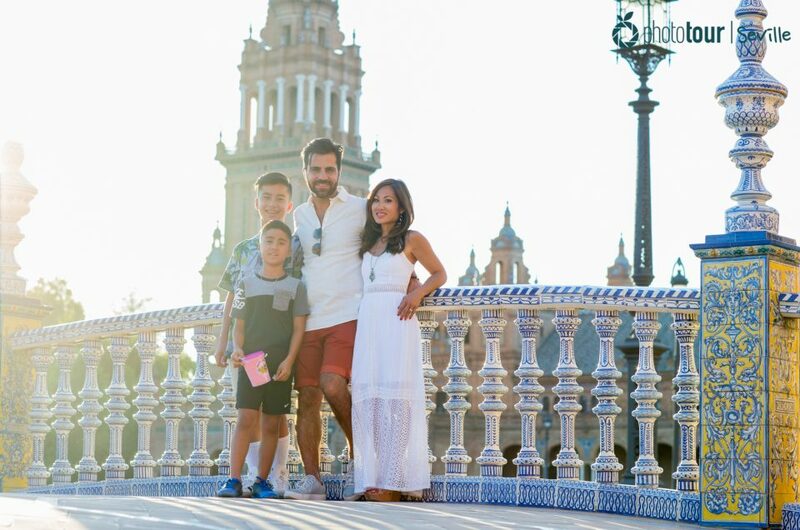 With its popular Isabel II Bridge, better known as the Triana´s Bridge, this place represents as its best the charm and spontaneity of Sevilla. Around the streets of Triana you will find ideal snapshots to immortalize your experience in Seville with a photography album. At the same time, you will be able to enjoy delicious local tapas around the many bars and restaurants. If you want a wonderful ending of your trip, we highly recommend you to position yourself at the other side of the river at late night. This way you will witness a stunning sunset with a perfect photo of Triana´s Bridge. 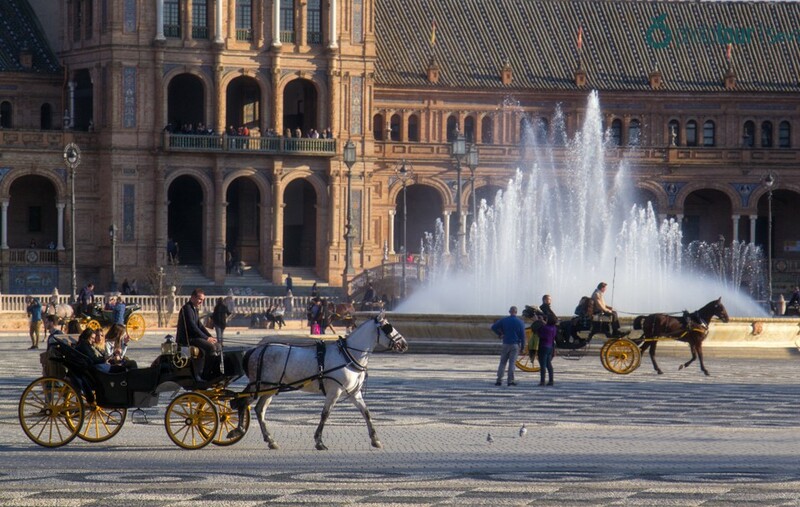 Did you know these spots of Seville? We hope that our tips help you to find the beauties of this amazing city during your visit! And remember: in case you have difficulties to find them, in Seville Photo Tour we will take you to these secret places and teach you how to get a professional photography album of your visit. Join our photo tours and get the most out of Seville!